When you think of going on a holiday, what comes to mind? Do you see yourself sprawled out on the sand by the beach? Perhaps you’d rather explore a new city and see what’s on offer? Or maybe you’ll want to eat all kinds of food and shop till you drop? If your answer is all of the above, you should consider coming to sunny Singapore! 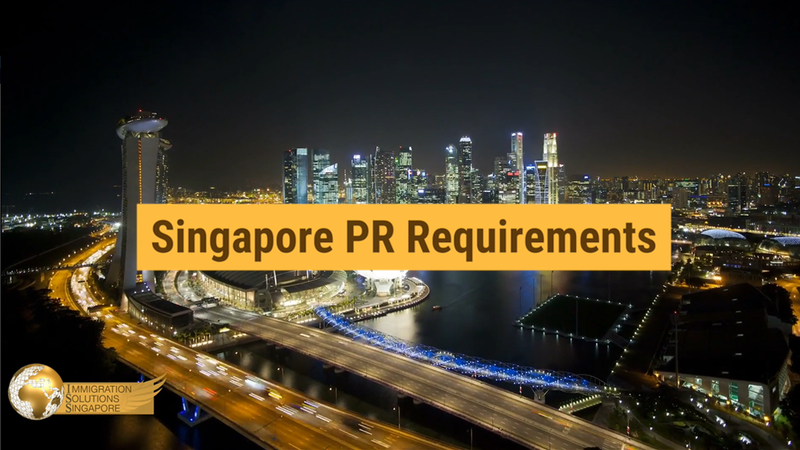 Singapore is a city-state in the Southeast Asia region, and while often confused by foreigners to be a part of China, it is actually a sovereign nation by itself. You might have seen it in last year’s hit film “Crazy Rich Asians”, about a young woman who comes to Singapore to meet her fiancé’s family and gets swept up in all the glitz and glamour. Hollywood might have exaggerated a little bit, but there’s plenty of real-life razzle-dazzle here to keep you in awe. Here are some reasons why you should visit Singapore for your next holiday! Singapore boasts of a wide variety of tourist attractions. From renowned theme parks to UNESCO World Heritage Sites, here are some of the popular places to visit when you’re in Singapore. Located on Sentosa Island, Universal Studios brings the excitement of its world-famous theme parks to Singapore. First opened back in 2010, it features a total of 28 rides and shows in seven different themed zones. If you’re a thrillseeker, visit Sci-Fi City for a true test of your mettle on the sky-high duelling roller coasters. If you’re travelling with young children or if you just want to take things slow, stroll along the streets of New York City and see popular characters from all your favourite TV shows. There’s something for everyone of all ages. You’ve probably seen photos of this superstructure all over social media, and it’s no surprise why. A luxury hotel and shopping mall with a huge deck built on top — Marina Bay Sands certainly looks one of a kind. Visit the Infinity Pool on the topmost deck and you’ll get panoramic views of the Singapore skyline right at the edge of the swimming pool — perfect for Instagram-worthy photos. Adjacent to Marina Bay Sands is the Gardens By The Bay. This nature park near the city centre was constructed in 2012, and it was created as part of Singapore’s vision to be a ‘Garden City’. 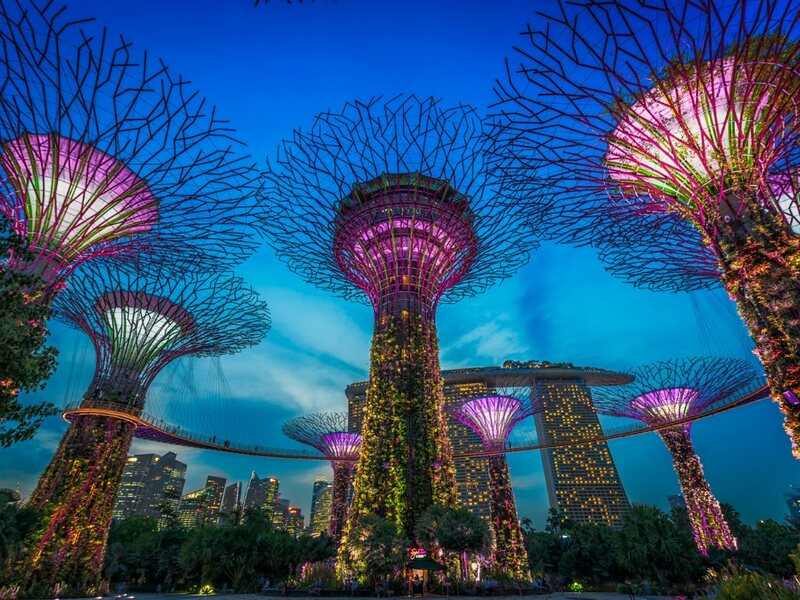 Consisting of two indoor conservatories — the Flower Dome and the Cloud Forest — as well as the impressive Supertree Grove, where tree-like structures up to 50 metres high can be found. The best time to see them is at night when the trees ‘come alive’ and put on a spectacular light show. The Singapore Botanic Gardens is listed as a UNESCO World Heritage Site, and it is the only tropical garden to hold that title. It has won multiple awards for being a major tourist attraction, and many people still visit this impressive garden every year. Founded in 1859, it houses over 10,000 species and subspecies of different flora, and the National Orchid Garden within contains the world’s largest collection of orchids. Be sure to stop by if you’re looking to experience the tranquillity of being in a tropical garden surrounded by nature. Looking for some good food? Singapore’s got your back. Many people consider Singapore to be a food lover’s paradise, and some even choose to make Singapore their home just because of food. Singapore is mainly made up of four races — the Malays, Chinese, Indians, and Eurasians. Each race adds their distinct cultures into the mix, and this includes the food. It’s easy to find all the different dishes unique to each race in hawker centres — open-air complexes that house many different stalls selling different food items — at relatively cheap prices. This is Singapore’s version of street food, albeit a more sanitary and hygienic one. Stop by Lau Pa Sat if you’re in the city and you’ll be able to taste all the local cuisines. If you’re looking for more luxurious meals, Singapore also offers many choices. Internationally renowned chefs like Gordon Ramsey and Wolfgang Puck have dedicated restaurants here, so if you’re up for it, go on and have a taste. If you’re all about the shopping, you definitely have to come to Orchard Road. High-end brands are aplenty in this modern shopping district, with many swanky shopping malls concentrated in this area, each with different offerings. Orchard Road is home to more than just shopping malls — there are also many coffee shops, beauty parlours, hotels, nightclubs, and lots more. Located right in the heart of the city, there’s plenty to see, do, and most importantly, shop in Orchard Road. Not a fan of the modern fashion scene and would prefer something more traditional? That’s no problem either. Take a walk down Chinatown to experience what it feels like to be in China, or take a short train ride to Little India for some flavourful Indian culture. There’s plenty to see and do in Singapore, with never a dull moment, so come experience it for yourself.